Please join us for an informative and detailed tutorial on software-defined systems and the Software Communications Architecture, version 4.1 ! Date: Saturday May 19, 2018, 8AM – 1PM. Cost: $30 (INCOSE Members), $40 (Non-INCOSE), $15 (Students). Breakfast and Lunch will be provided! (breakfast pastries provided by INCOSE, lunch sponsored by Ettus Research / National Instruments). Introduction: Software Defined Systems have become mainstream – to name a few, you have Software Defined Radios, Networks, Navigation Systems, Autonomous Systems, Automobile Control Systems, Robotics, Medical Diagnostics, and electronic measurement systems. The current practice is to re-implement software for every new version of hardware. The new practice is to create/adopt a common framework software architecture to abstract the application algorithms from the hardware platform – resulting in 100% embedded software portability. 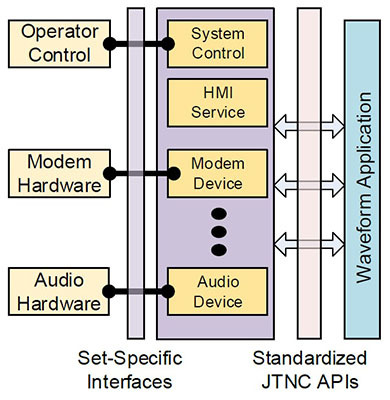 Software Communications Architecture (SCA) is a forerunner in this new concept – with the most recent version SCA 4.1 becoming the mandated DoD standard (http://www.doncio.navy.mil/CHIPS/ArticleDetails.aspx?ID=10076), and adopted internationally. Synopsis: The tutorial, which includes a brief lecture on Software Defined Systems and a tutorial on Software Communications Architecture (SCA) V4.1, is 5 hours long with lots of time to network. Although this tutorial focuses on an open software architecture standard, it will also show the inherent alignment of software architectures to Model-Based Systems Engineering (MBSE). The presenter, who is intimately involved in the SCA 4.1 standard, will also provide an insight to the role of systems engineering in the creation of standards, validation of systems, and the management of consensus for an open standard. About Ettus Research: Ettus Research™, a National Instruments (NI) company since 2010, is the world’s leading supplier of software defined radio platforms, including the Universal Software Radio Peripheral (USRP™) family of products. By supporting a wide variety of development environments on an expansive portfolio of high performance RF hardware, the USRP platform is the SDR platform of choice for thousands of engineers, scientists and students worldwide for algorithm development, exploration, prototyping and developing next generation wireless technologies across a wide variety of applications. The USRP software defined radio products are designed for RF applications from DC to 6 GHz, including multiple antenna (MIMO) systems. Example application areas include white spaces, mobile phones, public safety, spectrum monitoring, radio networking, cognitive radio, satellite navigation, and amateur radio.